"I hope they come away feeling a sense of triumph." The Weinstein Company has debuted one more trailer for the film Lion, from director Garth Davis, a powerful story of finding your home and connecting with your family. This actually already opened last month, but is expanding into more theaters soon. Dev Patel stars as Saroo Brierley, an Indian boy who was adopted by an Australian family and raised in Australia after he became separated from his real family at a young age. He decides to go back to India to search for his family and reconnect with them. The cast includes Rooney Mara, Nicole Kidman & David Wenham. This is said to be one of the most emotional films of the year, I've heard great things about it. Take a look. A five-year-old Indian boy gets lost on the streets of Calcutta, thousands of kilometers from his home. He survives many challenges before being adopted by a couple in Australia; 25 years later, the boy (Dev Patel) sets out to find his lost family. 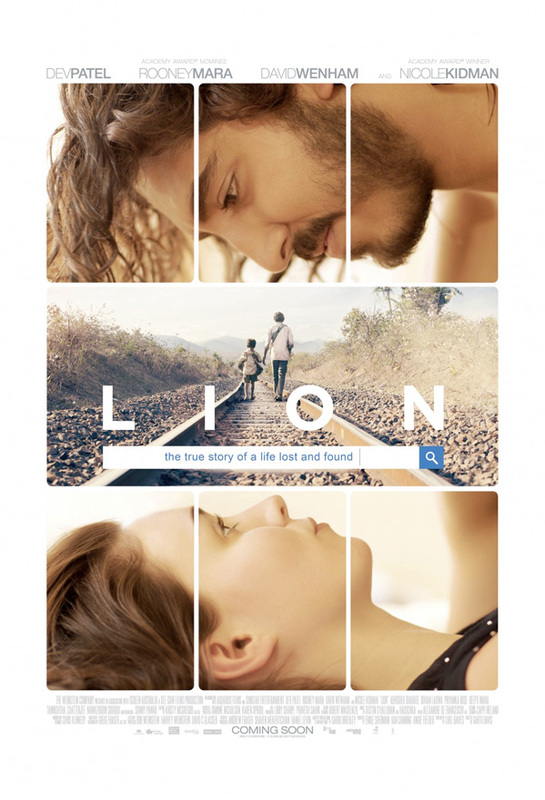 Lion is directed by up-and-coming Australian filmmaker Garth Davis, who directed episodes of "Love My Way" and "Top of the Lake" before making his feature debut with this film. The screenplay is written by Luke Davies (Anton Corbijn's Life). Based on the book "A Long Way Home" by Saroo Brierley & Larry Buttrose. The film will premiere at the Venice and Toronto Film Festivals coming up. Be on the lookout for early reviews from these fests. The Weinstein Company already released Lion in select theaters starting November 25th, Thanksgiving week. Expanding wider on Sunday. Anyone? Beautiful positive message indeed. Looks awesome! Interesting looking film. I personally don't agree with the lad leaving his sick mother.